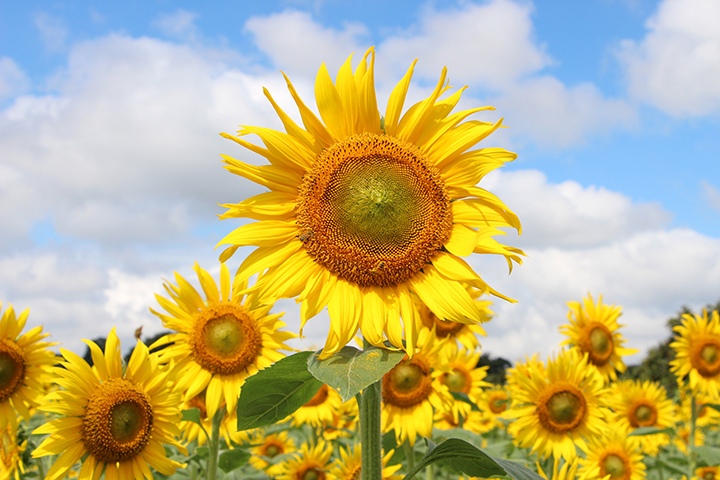 Attracting the maximum number of visitors of all events in Kiyose City, the Kiyose Sunflower Festival is one of the largest sunflower festivals in Tokyo. The festival will be held annually from the middle of August to the early of September, when 100,000 sunflowers will be in full bloom, emblazoning approximately 24,000 m2 of farmland. From the north exit of Kiyose Station (Seibu Ikebukuro Line), take a bus bound for "Shiki-eki Minami-guchi" (Shiki Station South Exit) via Green Town Kiyoto, get off at the Green Town Kiyoto bus stop, and take a six-minute walk.